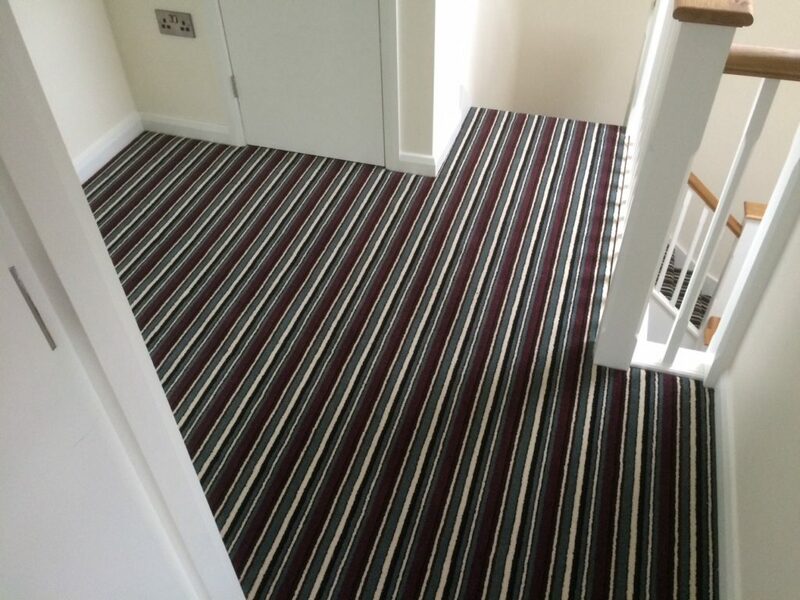 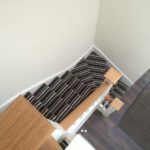 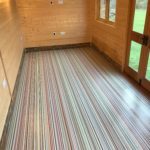 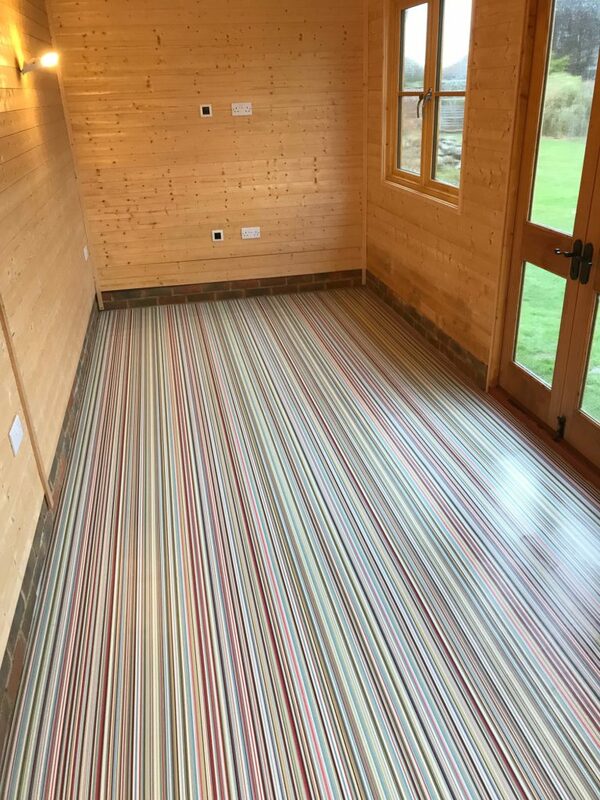 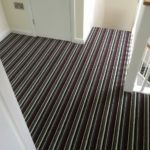 Latex to subfloor and fitted Striped cushioned vinyl. 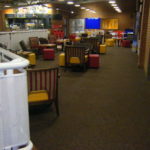 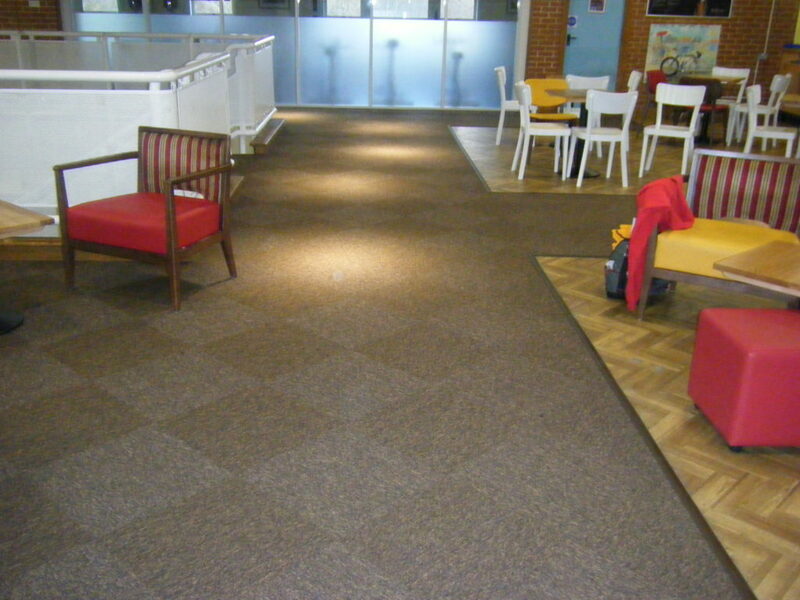 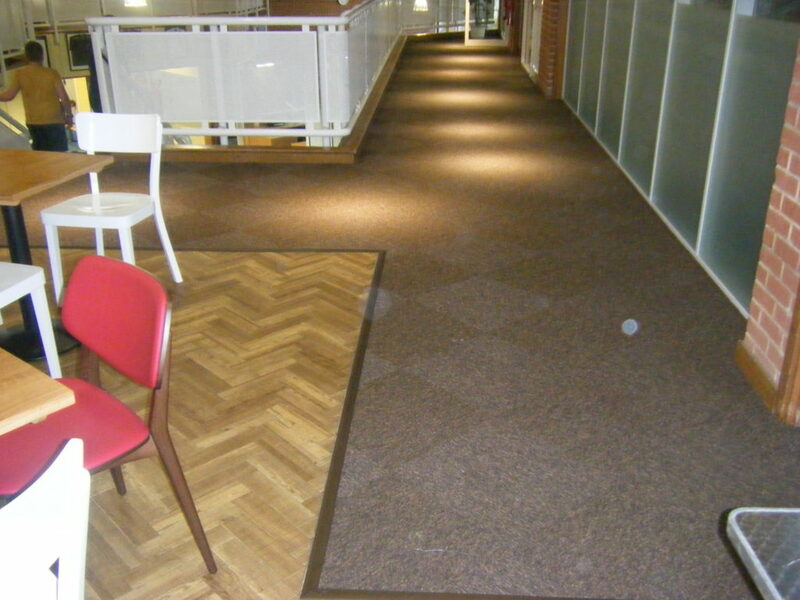 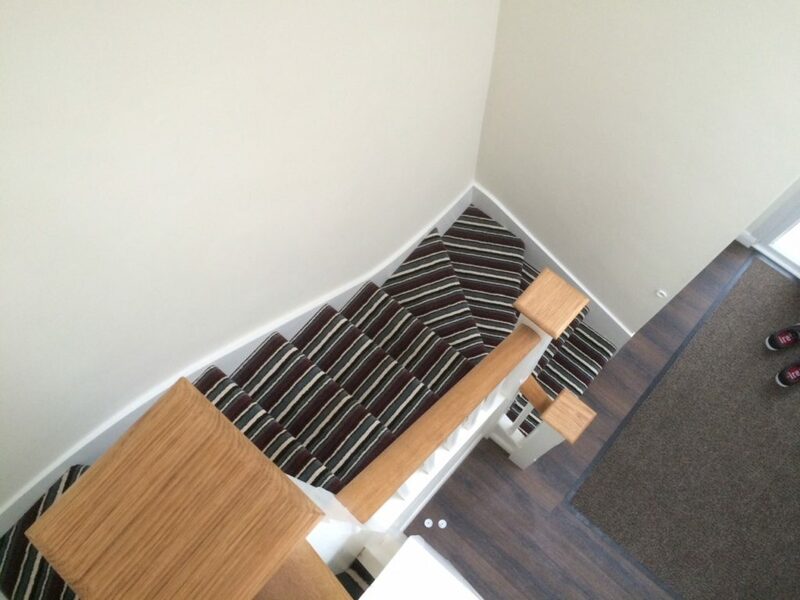 Fitted Tivoli carpet tiles on upper floor. 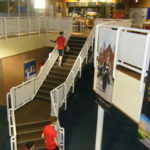 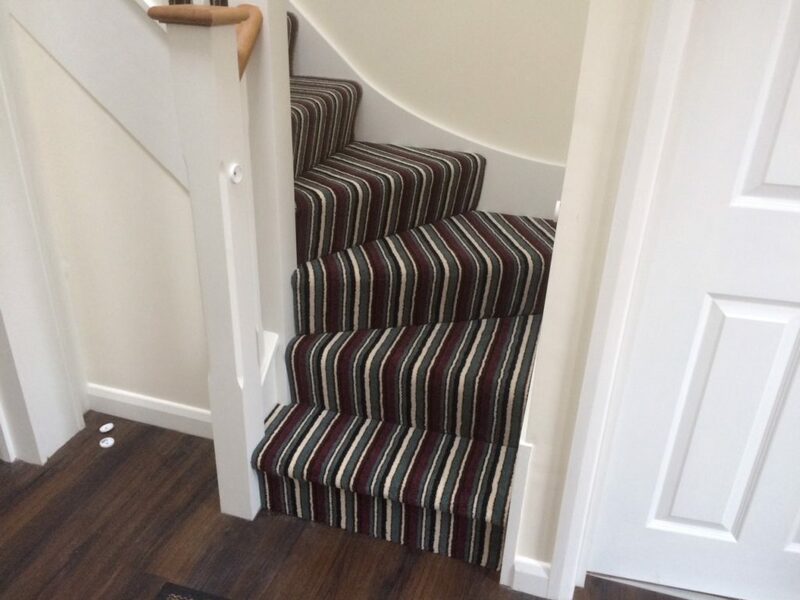 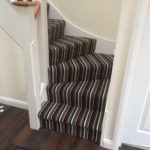 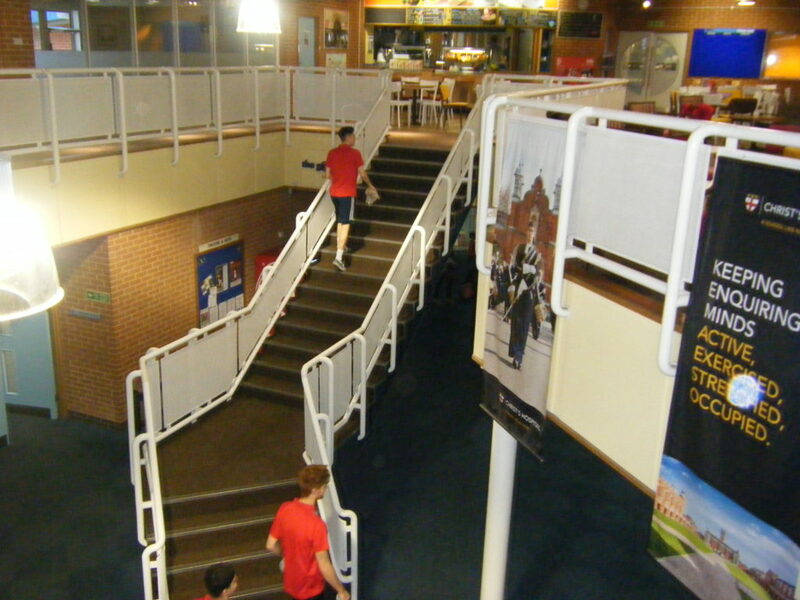 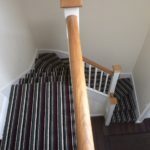 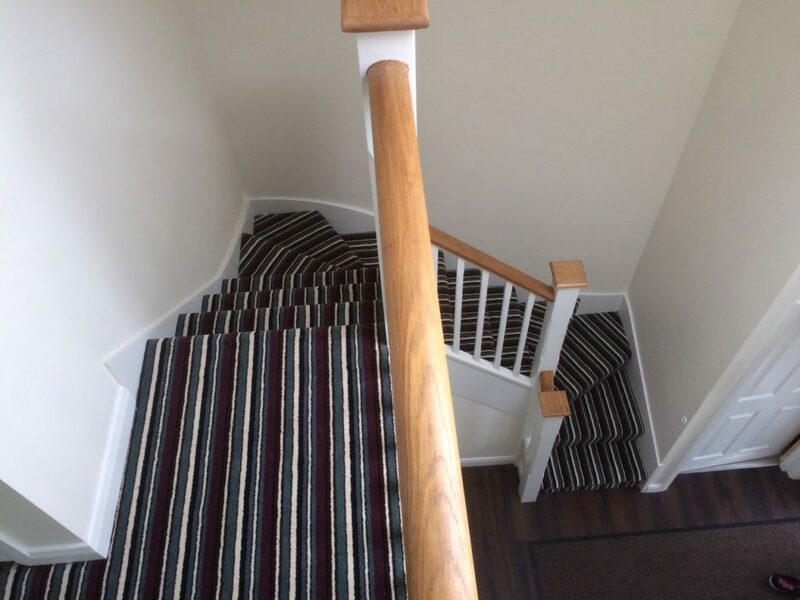 Including stairs fitted with new Gradus nosing’s. 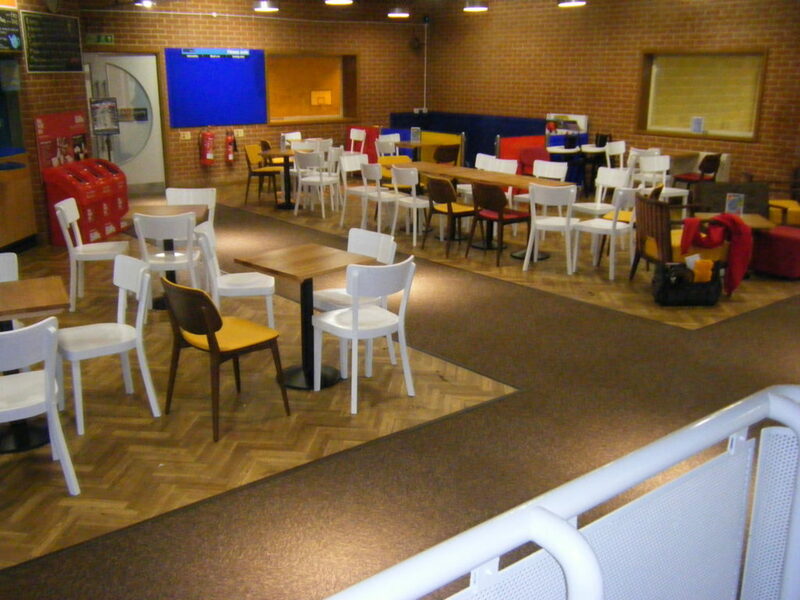 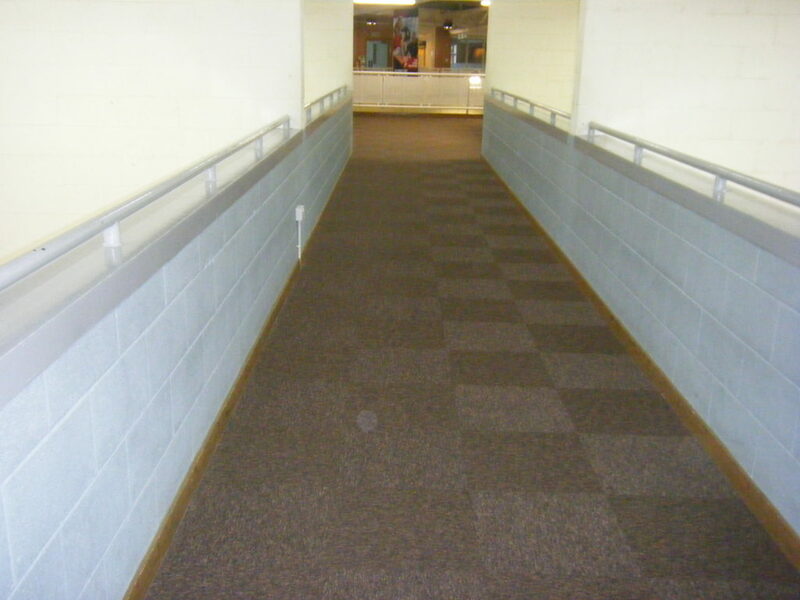 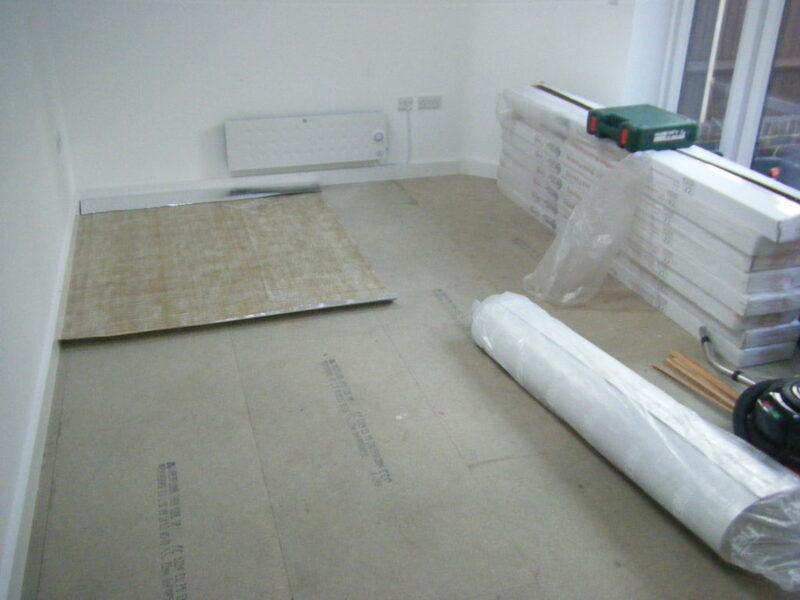 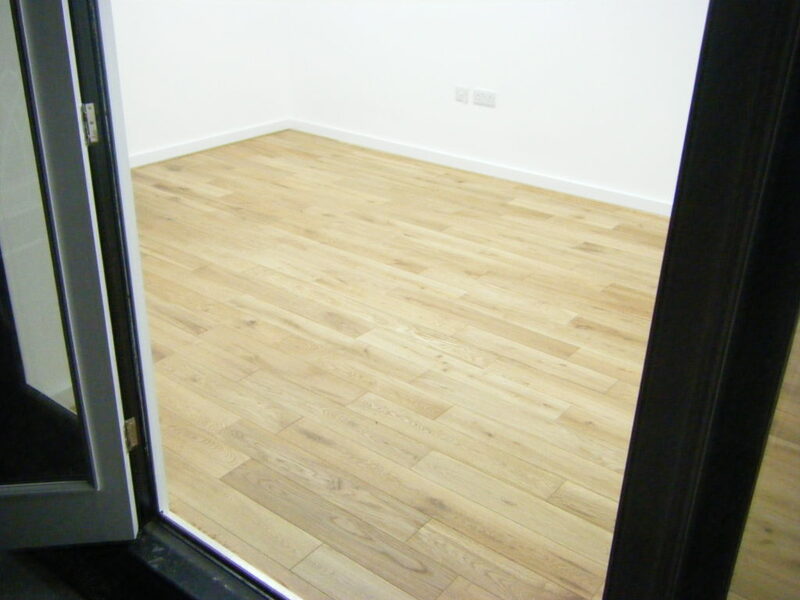 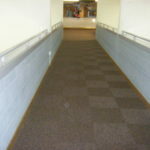 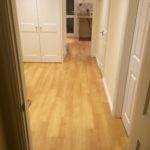 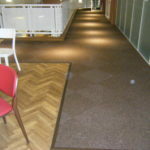 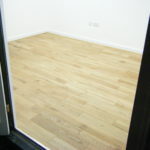 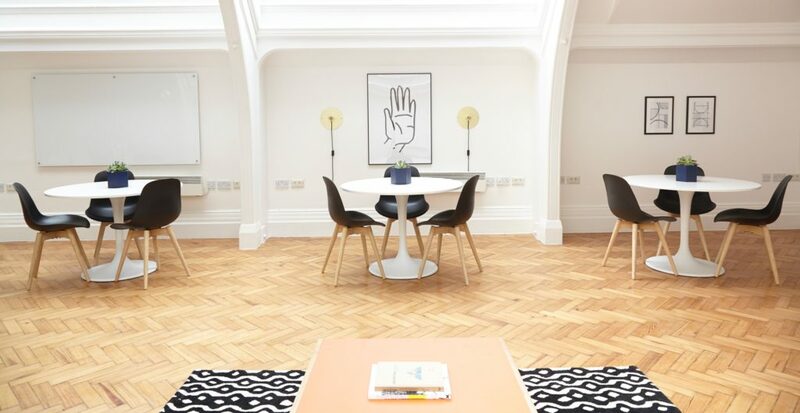 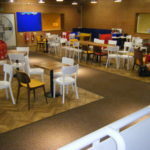 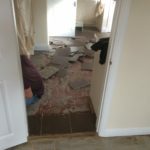 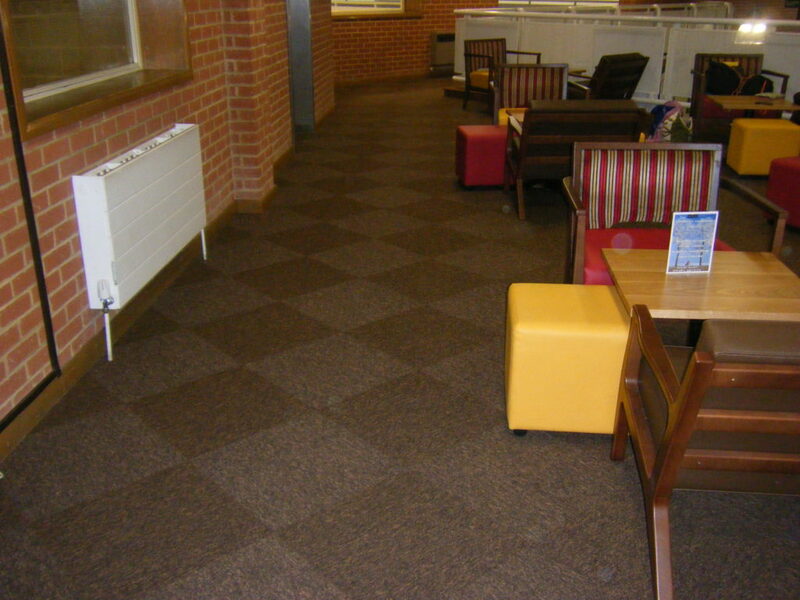 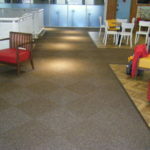 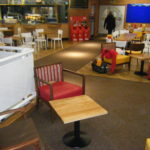 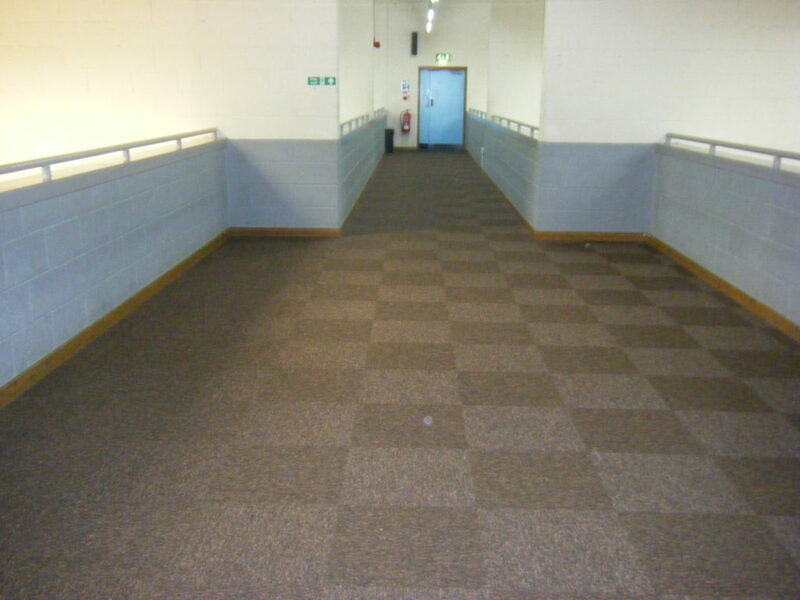 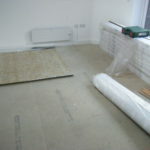 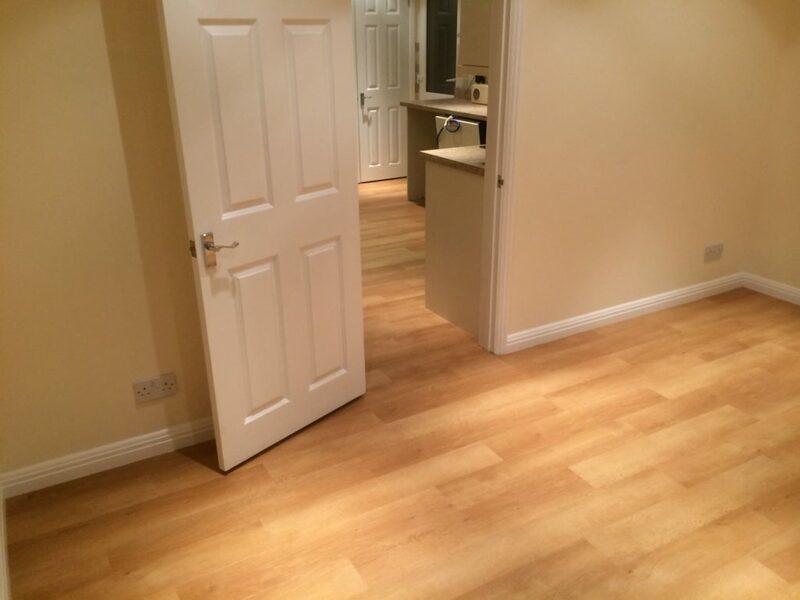 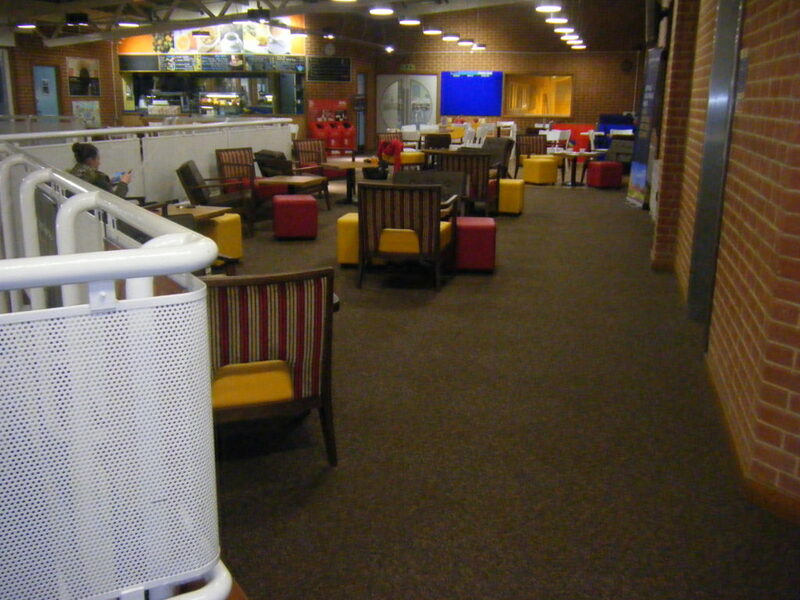 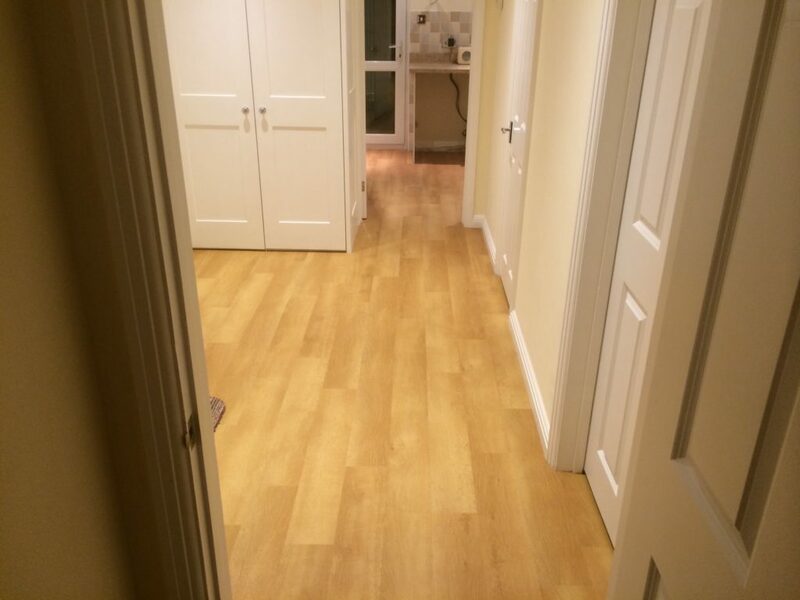 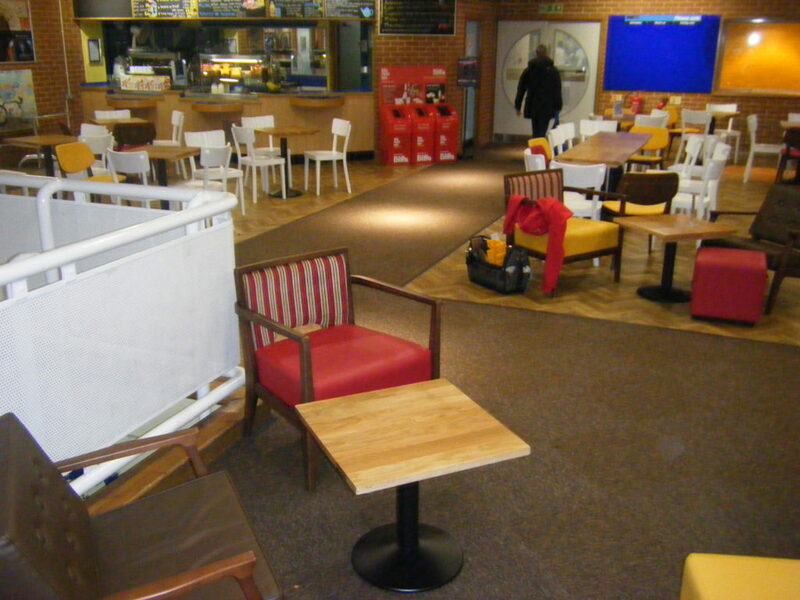 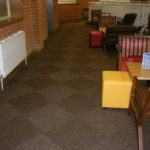 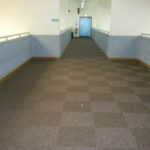 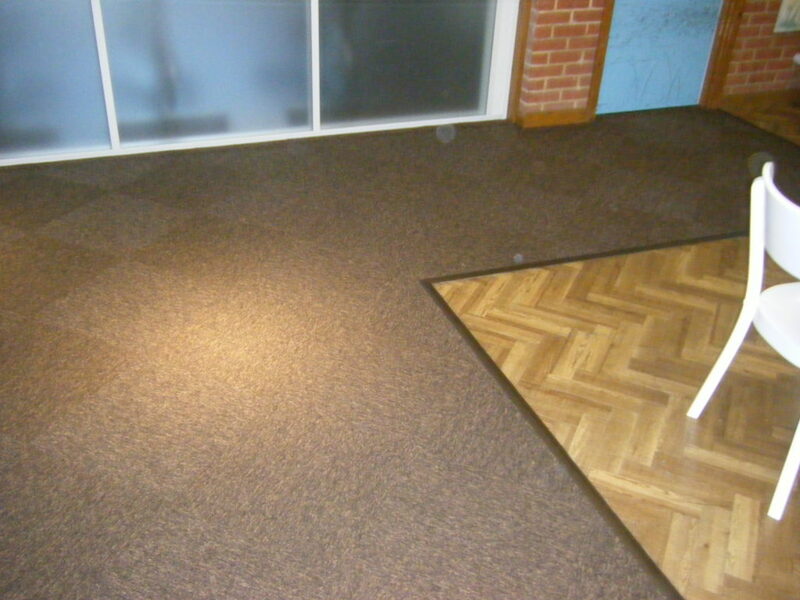 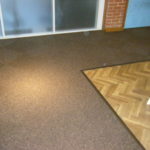 Ground floor was fitted with Polyflor Expona tiles. 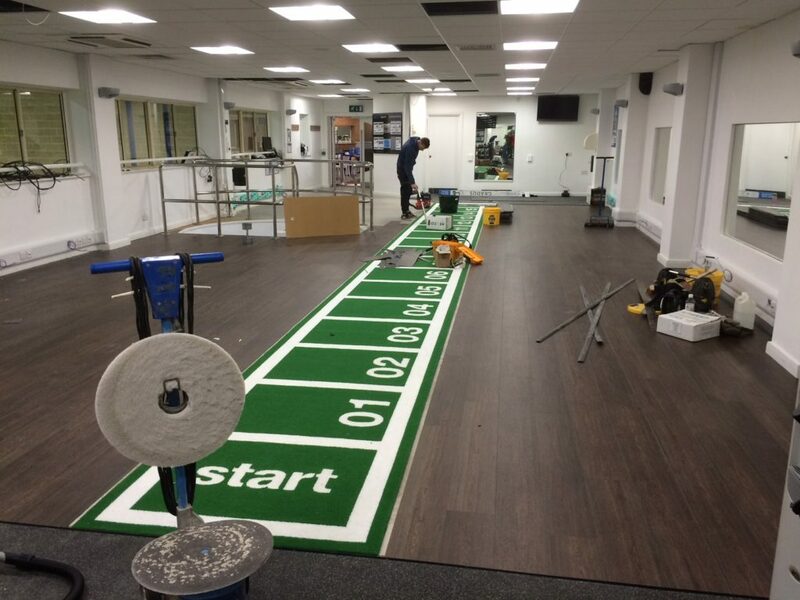 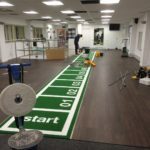 Gym fitted with Polyflor Expona and rubber gym flooring. 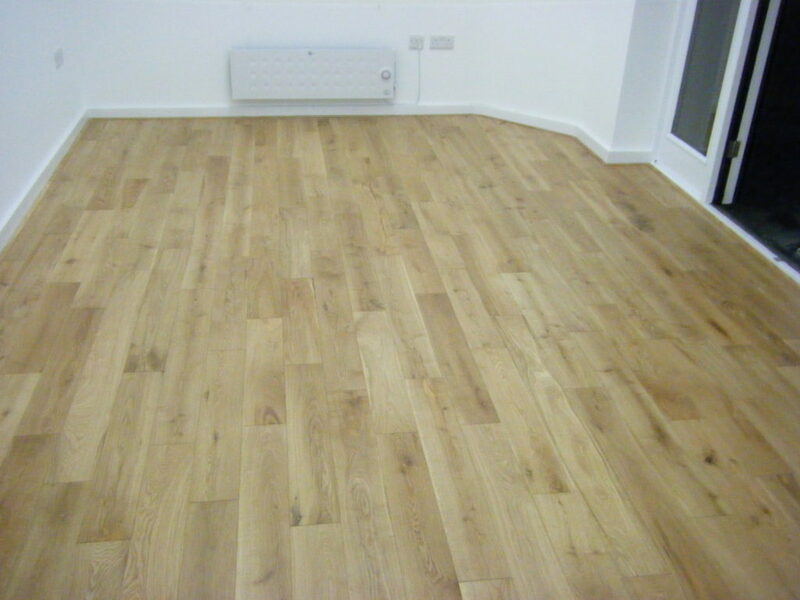 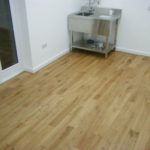 Fitted Staki Oak engineered wood floor on Woodlay underlay with matching Oak trims. 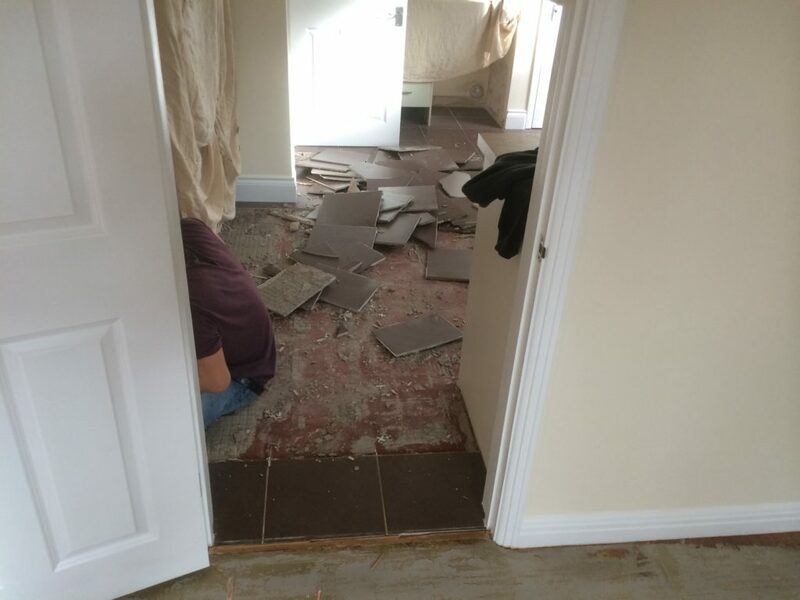 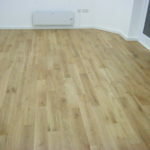 Uplift ceramic tiles, fit 6mm ply to Dining room. 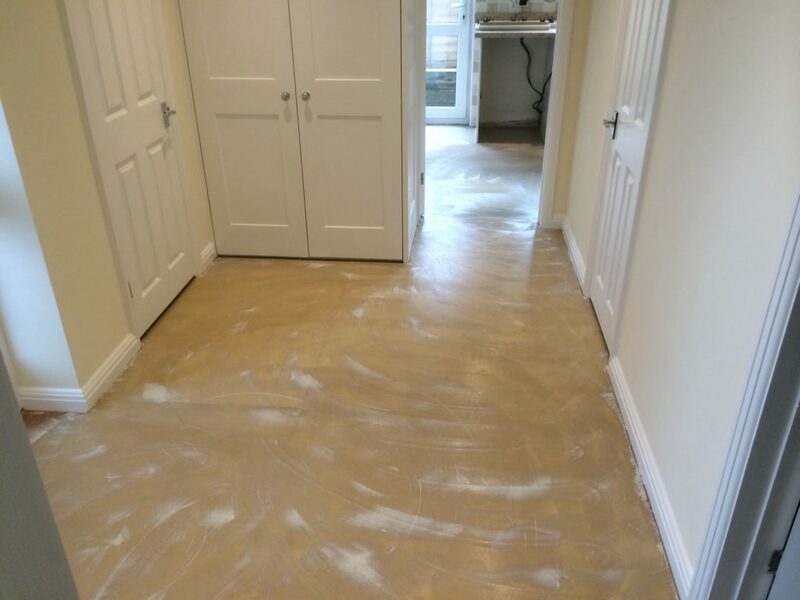 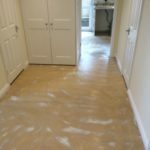 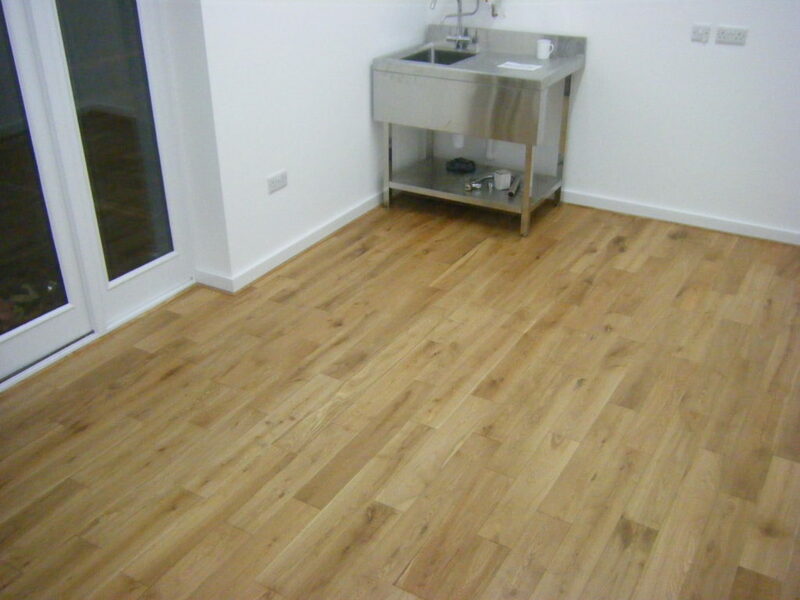 9mm ply to Hallway and latex screed to Kitchen. 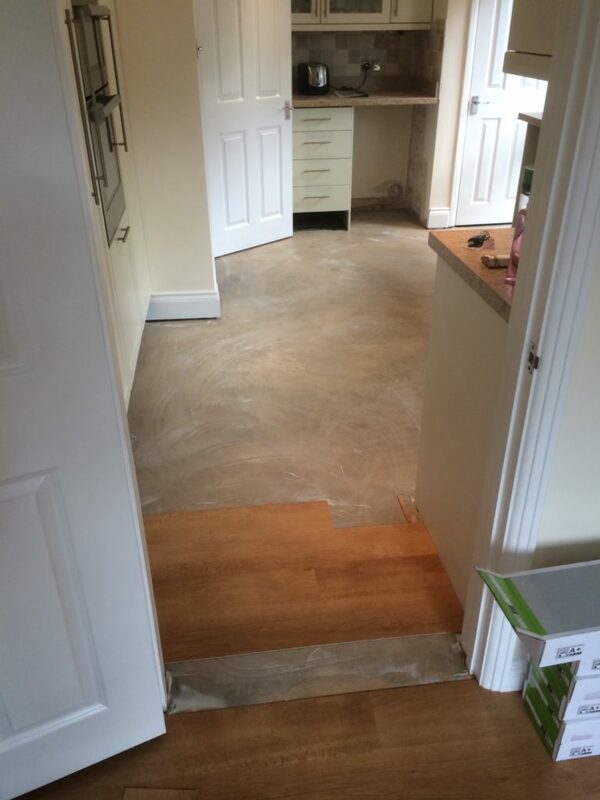 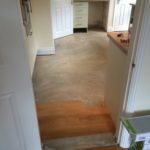 Feather edge screed over ply. 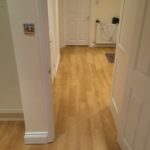 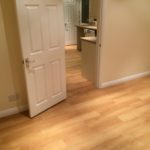 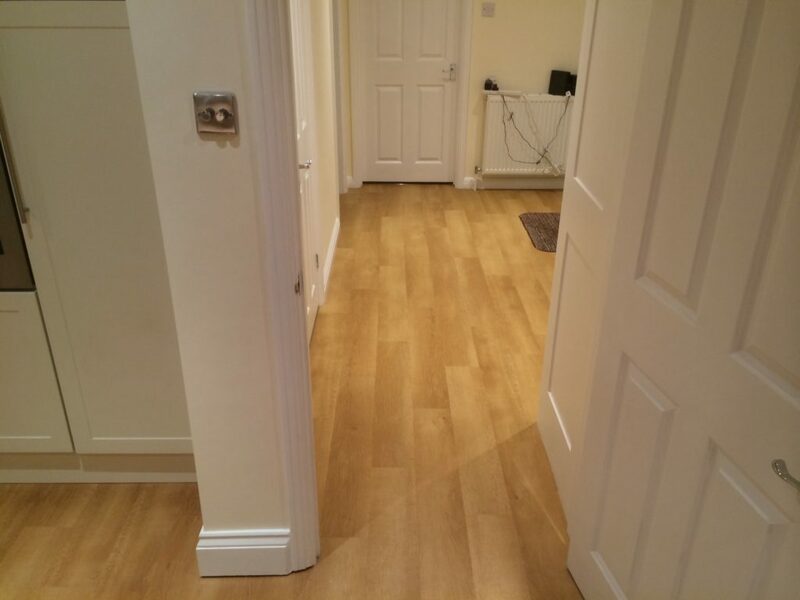 Fit Karndean Opus Cera WP314.